Above: Mobile Health Screening Van Makes First Visit to an Aiken County School. 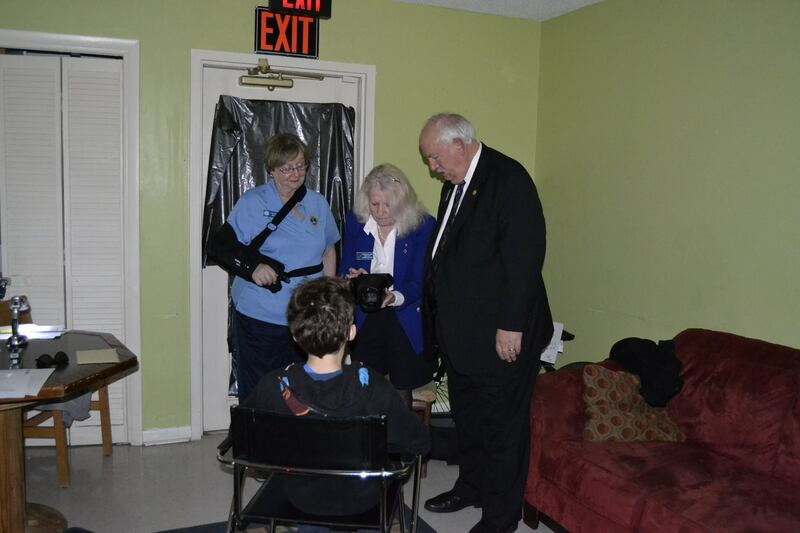 For over 15 years, the Aiken Mid-Day Lions Club have provided assistance to individuals living in the Aiken area that require eye surgeries, eye exams, eye glasses or specialized equipment needed to improve vision. 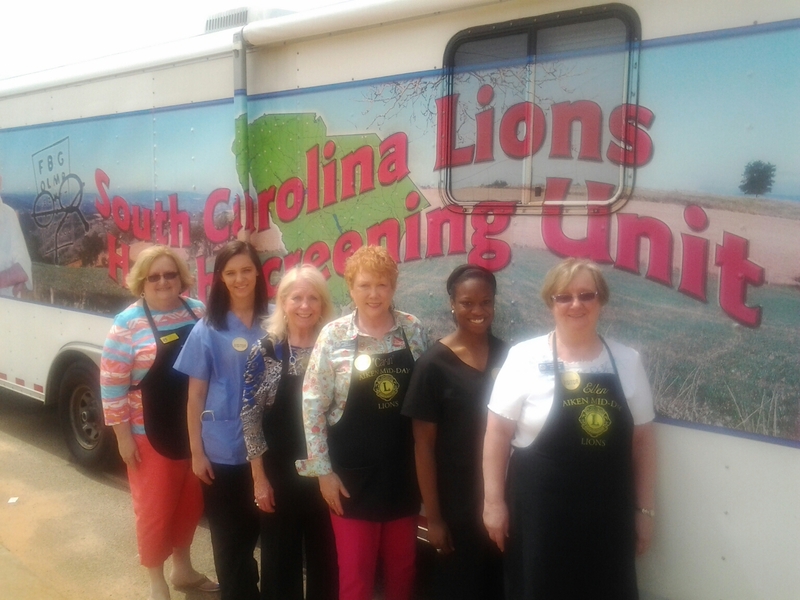 Through our partnership with local doctors, eye care centers and South Carolina Lions Charitable Services, the Aiken Mid-Day Lions provide this service to individuals that otherwise cannot afford to pay for the services. 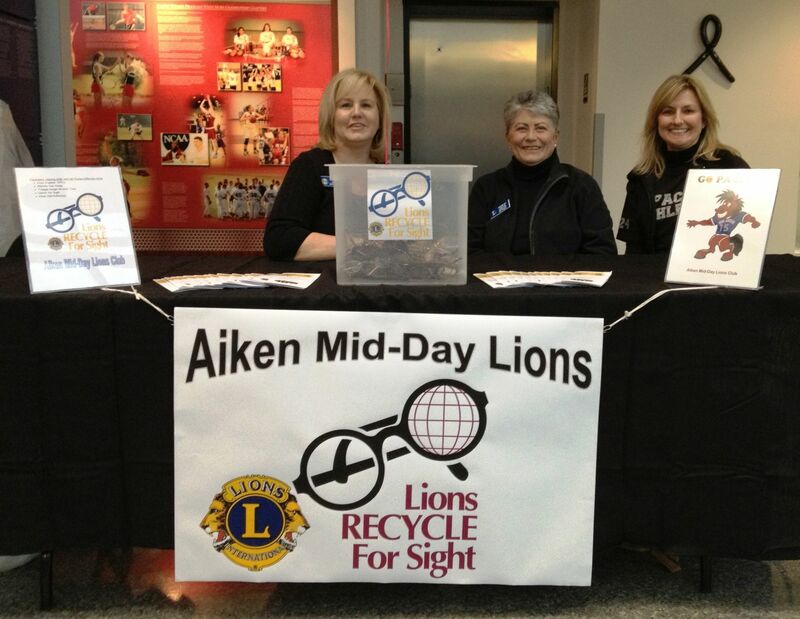 Aiken Mid-Day Lions also collects used cell phones, hearing aids, and prescriptive eyeglasses (readers too!). If you would like to donate any of those items, please give us a call. 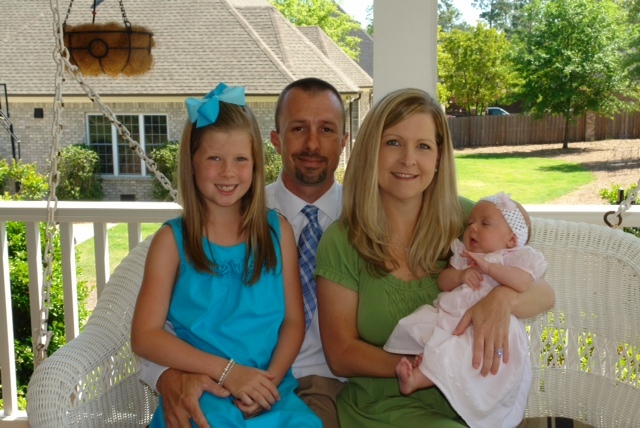 Pictured Above Right: The family of Carly Prosser, an inspiring little girl with an equally inspiring family. Carly (far right) has faced numerous challenges in her life, blindness among them, and we've had the pleasure of getting to know her as well assist them financially. THE # 1 CAUSE OF VISION LOSS AMONG ADULTS AGES 20-65 IN THE US IS DIABETIC RETINOPATHY & IT’S THE 7TH LEADING CAUSE OF DEATH. DIABETES CARE IS COSTING THE US $245 BILLION DOLLARS ANNUALLY. Diabetes is one of the most common causes of vision problems today. The Aiken Mid-Day Lions are committed to raising awareness in our community. We sponsored the first Diabetes Awareness Walk on Saturday, January 23, 2010 during the SC District 32-B Convention. There were nearly 50 participants who enjoyed a brisk walk after lunch at the North Augusta River Walk. Information on diabetes as well as healthful snacks were provided for all participating walkers. We continue our commitment to diabetes education by regular communication with our members through the sharing of healthful recipes, exercise tips and guest speakers at club meetings. November is Diabetes Awareness Month and our club targets this particular month to focus on diabetes education, control and prevention. check our calendar for activities in which Lions (and the community) can participate. The Aiken Mid-Day Lions have a long term relationship in supporting Leader Dogs for the Blind. We've had the privilege of assisting in providing service dogs to local visually impaired citizens over the years - a rewarding experience. We continue to financially support Leader Dogs for the Blind via our major fundraiser, our spring fashion show/silent auction/luncheon as well as through other fundraising opportunities during the year.